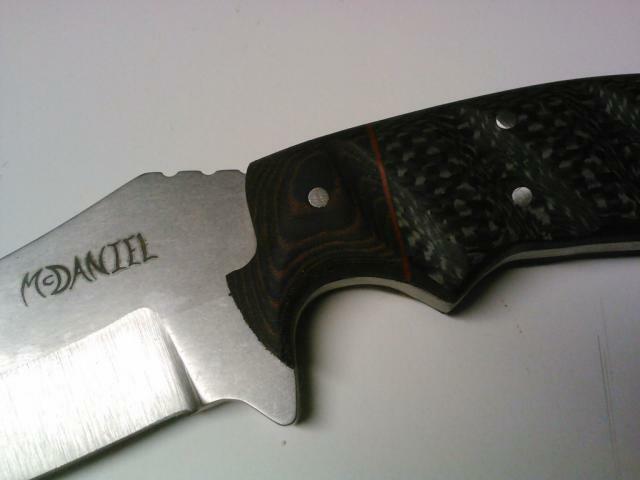 D-2 tool steel, carbon fiber handle with black and red micarta bolsters, and red fiber spacer. 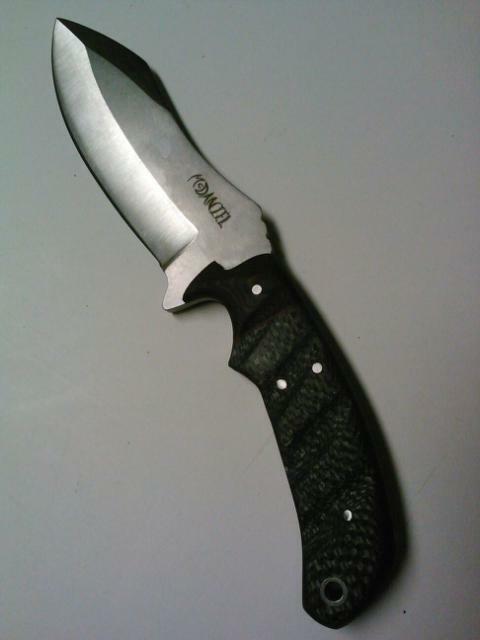 Double edged blade. Feels great in a reverse grip.